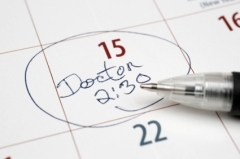 You can see your doctor during surgery times by making an appointment with reception. The Medical Centre is open from 8.00am to 6.30pm Monday to Friday. Please contact the receptionist either by telephone on 01473 213261 or by calling into the Surgery. We are asked by the Department of Health to offer appointments for a health care professional within 24 hours and a doctor within 48 hours. Whilst we do continue to offer booking beyond 48 hours this requirement does mean that the options are more limited than before. A health care professional will see and assess you within 24 hours if you feel this is needed. However, you may not be able to see your usual doctor. Timing for routine appointments does not include Saturdays, Sundays or Bank Holidays. Should you find it difficult to attend a weekday appointment, you maybe able to book for a Saturday morning clinic with a Doctor. GP+ Appointments Suffolk GP+ is for people who urgently need a doctor’s appointment or are unable to see their GP during normal GP hours. Appointments can be made via Reception during our usual opening hours. Please note cannot refer themselves to this service. We take urgent calls at any time; otherwise we will phone patients back at a convenient time or after surgery. Very often a telephone consultation with a doctor can avoid the need for a trip to the surgery. Please leave your telephone number and brief details about the call with our receptionist and a doctor will phone you back. There may be times when you would feel more comfortable with a chaperone in the room during your consultation with the doctor. If this is the case please do not hesitate to ask, your doctor will be happy to arrange this immediately. Those unable to speak and understand English are encouraged to come in with an English speaking friend or relative to translate; when this is not possible the surgery has access to interpretation services through Language Line (www.languageline.co.uk). Please advise reception that you need a double-appointment if your appointment will require a translator. If you are unable to keep an appointment please let us know so that it can be made available for another patient. If you are late for your appointment you may be asked to rebook for another time in order to minimise waiting for other patients. For training purposes telephone calls to and from Reception may be monitored.